Schefer recently got a call from Sonoma Acres, a retirement home that had their boiler go down. “In a situation like that we feel it’s critical to get their heat back as quickly as possible – they have a lot of elderly people who were getting cold.” LeDuc & Dexter’s Hydronic Department also recently repaired a boiler at Bear Flag Republic Brewing Company, which is used to heat brewing kettles. The Munchkin Super Stor Boiler has a 96% fuel to heat efficiency rating as compared to 80% for a conventional boiler. The Munchkin can be powered by natural gas or propane, which also adds to its energy saving value. 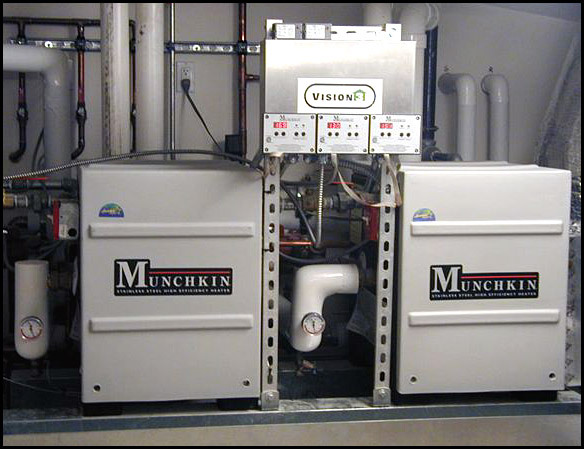 Although the cost of the Munchkin can be around $1,500 more than a conventional boiler for a 2,000 to 3,000 square foot home, Schefer estimates a monthly savings of $40 to $50 for homeowner with the Munchkin. Munchkin Boilers have a diagnostic system and default code for the user. Schefer can also connect a phone line to the Munchkin’s computer grid to monitor its operation, which be logged for up to 4 days, and receive the information at a computer in his office. 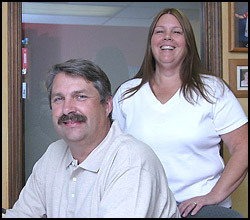 From the remote connection he can adjust or reprogram the boiler or if a part is needed a technician can pull it from the warehouse and have it ahead of time for the service call, which also saves time and money.